Wondering how to do ibadah (worship) while playing a sport? A few years ago a friend and I followed our beloved Prophet’s advice and started archery. In the beginning I thought I could show off when I hit one arrow out of 10 into the bull’s eye. But no one at the club paid attention. They would however take a look if my arrows were close together, even if they were off target. The first step on my journey was therefore to learn how to bundle my arrows. That meant that I needed to develop consistency in my shot. A shot consists of actions, emotions and thought. So I needed to develop consistency in these three areas. Therefore, for a long time it didn’t matter if my arrows landed in the center or not. Once your shots are consistent and your arrows are bundled, then you just move your aim a bit higher, down, left, right and that will determine the place your arrows will strike. Lesson No. 1: Focus on becoming consistent. Improve your internal coordination; don’t pay attention to immediate gratification. Pay attention to your thoughts and behavior and focus on organizing them, so that they are working together in the right direction. Do you know how exciting it is to shoot an arrow over a distance of 20, 30, 40, 50, 60, 70 meters? Some of you might relate to the feeling you get when playing golf. Archery is quite similar in the techniques and training you have to acquire. Only it is more intense. In a training phase of 1 – 1 ½ hours you will shoot about 60-90 arrows. In order to learn to group your arrows you have to align your body, emotion and thought process into a system: a process which you will repeat with each shot. This is the repetition you need to improve your coordination. Lesson No. 2: Perfecting a system demands from you to perform the same action repeatedly and to eliminate any minute mistake, while constantly improving. Keep in mind that repetition can be a double-edged sword. Repetition can be destructive if you repeatedly do something which is wrong. Once it becomes a habit, it’s hard to get rid of it. That’s why it’s important for you to have a good teacher, who will watch out for your development and train and guide you. Lesson No. 3: Get a good teacher, because he will keep an eye over you and make sure that repetition only works in your favor. If you’re prone to negative attitudes, archery is ideal to teach you to be positive. In order to be a good archer you have to remember your good shots and forget all your bad ones. The essence of archery is actually the ability to remember and reproduce all the aspects of the good shot. That means you run through an emotional, thought and body process, whereby you let your good shot release out of the good habits you’ve worked so hard to develop. You selectively create within yourself a big bucket in which you put all your good shots and throw away all the bad ones. Then you have a pool of positive memories, thoughts and emotions. You zone into that pool and let your good shooting habit do its thing. Frequent repetition helps you develop and tune into the zone. Lesson No. 4: Archery makes you aware of how you think and deal with success. 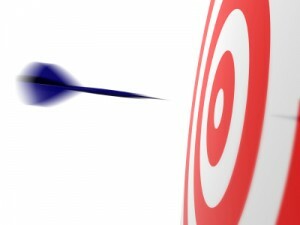 Even though you think you want to be successful, you might find out that you’re afraid to hit the target, expect results too fast, are inconsistent in your process etc. Archery trains you to use your thoughts, emotions and experiences in your favor. You will learn how to collect your good experiences and reproduce them in order to achieve your target. You will learn how to benefit from your bad shots and then let go and even forget them. Remember: you have to focus on your successes to be a good shooter. And best of all, through all those shots, positive thinking becomes a habit. But what happens if you have a run of good shots and then a lull? Imagine you’ve had some lucky shots and you’re some points in lead, but you’re not able to carry it past the winning line. This is bound to happen to anyone who doesn’t focus on achieving reliable and regular results. When you shoot many arrows over a long time period, your body and mind get tired, or you get overconfident, feel afraid or something else challenges your success. At that point, what matters is if you have trained beforehand to deal with a challenging situation so that you have a habit you can rely on and let it work for you. If you haven’t trained for challenges in advance, then don’t expect it to be ready to face them when they arise. Lesson No. 5: Training ahead and preparing for the eventual challenges is important in lasting successes. These are just some lessons I learnt since I started archery. It was kind of like climbing a ladder. Every week, I would shed another harmful process in me and would take on a more productive approach instead. You know what I like so much about this sport? While having fun, you also develop many useful habits. Reading a book will not give you the repetition you need to make something a habit. Everything you read above actually deals with the science of the intention (niyyah). Practising archery helps you refine and strengthen your intentions in all that you do. 1. Go to your closest archery club and train under a coach or very good archer. 2. When you stand at the shooting line, stand upright and straight as in prayer, but in a 90 degree angle to the target. Stand feet apart, equivalent to your shoulder width. Stand in a comfortable upright straight position. 3. Focus on being regular and consistent and try to remember the feelings and thoughts up until the end of your shot. 4. Listen to your inner voices: you’ll recognize some of the things that are standing in your way of success. Clean up by intentionally choosing a different way of seeing things. 5. Take a friend along. You’ll find it quite encouraging to shoot for a coffee, ice cream or a can of sausages. 6. Encourage your children and others to do the sport. It’s a lot of fun in a group. Make sure your archery club has a grill. Otherwise get one. Shooting and grilling is really the best! Kareem Shehadeh Rifai wants to develop the Middle East as the No. 1 knowledge and solutions hub for water challenges of the future. With Henze International LLC, they have formed a network of 35 German leaders in the plastic industry and have the support of German universities and training facilities. He studied Law in Germany. His speciality is training, education and of course, law. For his self development he does archery, plays chess, travels a lot and contributes to his community through social work. He has no time to watch TV. He is learning Turkish and wants to start his own school. He has travelled across Europe, Middle East, Chile and North America.